In my main role, I am CTO of BitMEX.com, an up-and-coming Bitcoin derivatives exchange. We run on AWS, and we have a number of isolated hosts and a very restrictive and partitioned network. At BitMEX, we are wary of using any monitoring platforms that could cause us to lose control. This means staying away from as much closed-source software as possible, and only using tried-and-true tools. One of our favorite system monitoring tools is the aptly-named Monit. Monit is great at keeping on top of your processes in more advanced ways than simple pid-checking; it can check file permissions, send requests to the monitored process on a port (even over SSL), and check responses. It can do full-system monitoring (cpu, disk, memory) and has an easy-to-use config format for all of it. Sounds good, right? 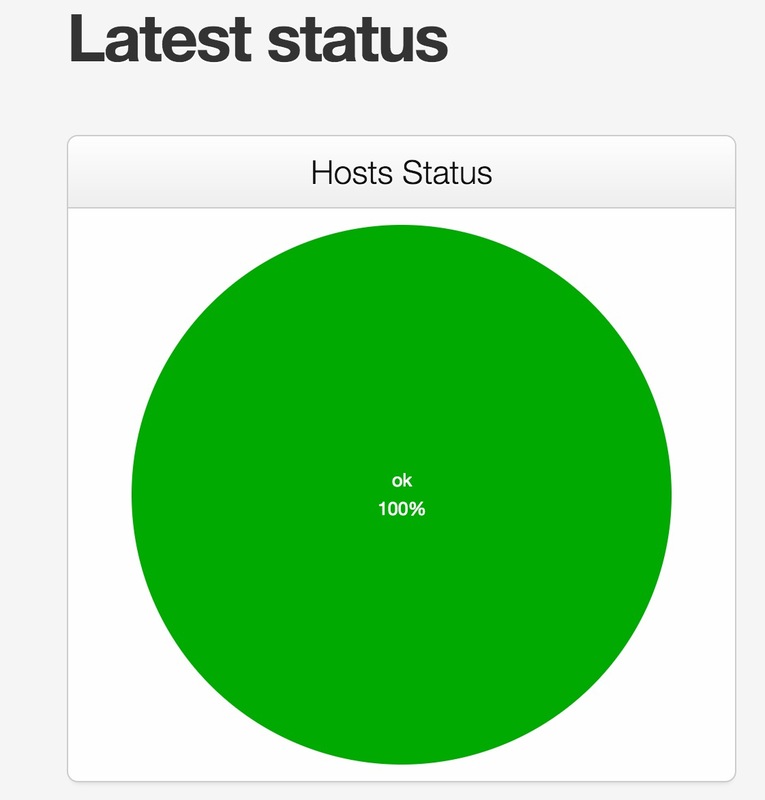 Well, as nice as it is, we need to get notifications when a system fails - and fast. We configured all of our servers to send mail to a reserved email address that would follow certain rules, post a support ticket to our usual system, and ping Slack. But emails on EC2 are notoriously slow because EC2 could so easily be used for spam. We found our postfix queue getting 30 minutes deep or more because of AWS's throttling. We use external monitoring tools so it's not always a problem; we generally find out about an outage within about 30 seconds. But if there is a more subtle problem (like a server running out of inodes or RAM) but it takes 30 minutes to get the alert, there's a problem. I started reconfiguring our monit instances to simply curl a webhook so we'd get Slack notifications right away. That's good, but any change in the hook and I'd need to log into every single server and reconfigure. Besides, I could really use a full-system dashboard. What to do? M/Monit solves this problem. It provides a simple (yeah, not the prettiest, but functional) dashboard for all hosts, detailed analytics, and configurable alerts. Now, I can just configure all of my hosts to alert on various criteria, and configure M/Monit's Alert Rules to take care of figuring out how severe it is, who should be notified, and how. M/Monit supports actually starting, stopping, and restarting services via the dashboard, but that requires M/Monit to have the capability to connect to each server's Monit (httpd) server. I didn't want this; setting it up correctly is a pain (have fun generating separate credentials per-server for SSL) and it's a potential DoS vector. Thankfully, M/Monit runs just fine if you don't open the port. Setting up M/Monit is pretty easy and I don't think I need to go through it; I recommend using SSL though, even inside your private network. That's it. Just reload the monit service and it'll start uploading data. What's the credentials bit? Well, Monit supports automatically creating credentials at first start that M/Monit can use for controlling processes. But I didn't want to support that anyway, so I added this line to disable it. It's not a big deal if you omit it, and the control port is left closed; M/Monit just won't be able to connect, but it will continue monitoring properly. That's it! I then used the script above as an alert mechanism inside Monit (Admin -> Alerts) and it happily started sending instant notifications to Slack. You can configure just about any type of webhook, mail notification, whatever. It took surprisingly little time to get this right, and the team behind Monit deserves a lot of credit for this. I've been working on a new project. It's heavily data-oriented, and data is changing constantly. I believe it would be very difficult to make a project like this work in a performant manner even 3-4 years ago; it's nearly the perfect use case for React, in my opinion. I have about 8 data stores, and each client is processing 2-3 websocket messages *per second*, updating those stores. Each store update triggers a render that may be a insert, modify, delete, or complete replacement of a store. Each one of these stores is linked to one or more widgets that must update immediately so that users are informed of the most up-to-date state of the system. React is a great fit for this because I can modify the data, pipe the proper `props` hooks through the system, and call it a day. But React makes no assumptions about your data, and is completely hands-off about how you should manage it. To help out, I use Fluxxor with some modifications to manage my data stores. But even Flux/Fluxxor does not tell you how to manage your data. So after some figuring, I set about figuring out how best to store my data in the browser. I'm building an app that has real requirements, and eventually it becomes quite important to massage data. That means adding labels, changing column names for readability, adding derived/virtual properties that depend on other properties (and update properly when their dependencies change), and so on. I thought about this and got a flashback to Backbone - Backbone.Model is one of the best parts of Backbone. Maybe I could just use it raw? I started working with Backbone as my Model/Collection abstraction, but it didn't offer as much as I wanted, had a lot of cruft I didn't need (Router, Views, History, etc. ), and it wasn't easy to update if I removed that cruft. Just about that time, a user on HN mentioned ampersandJS, a refactored and enhanced version of Backbone's data components. It's much better, and if you're willing to leave < ES5 behind, it does quite well with data getters, setters, deep model hierarchies, derived properties, session storage, and more. // We always want to mix in underscore & a constructor override. // For instanceof checks - necessary when extending this class. This allows me to create a new collection every time I make a significant data change, making `shouldComponentUpdate` O(1) while giving me all the benefits that these Collections and Models provide: validation, virtual attributes, nested models, sorting, and so on. // Lighter weight than creating a new collection entirely. // Remove all references on the old data so it can be GCed. // This adds some runtime cost but prevents memory from getting out of control. This benchmarks quite well: I am able to replace a 150 element collection of large, rich models in less than 0.1ms. So far, this has been working for me. It creates a fair bit of GC pressure but I am careful to only replace models themselves when they have changed as well, and to preserve those that have not. In a way, it's a lower-tech version of ClojureScript's structural sharing, which is certainly far superior than this. However, I haven't found a good FP-style replacement for what I'm doing. Have any of you had experience doing this in a similar way, or using Mori instead? What have you found to be the pain points and benefits of your method? And so on. Finally, I thought, a service where you get what you pay for (and you do pay for it). And the site is fast. Really fast. Uploaded images occasionally disappear. I don't know where they go. The user who uploads them sees the images (they go into browser cache) but nobody else can see them. That makes this very difficult for an author to catch. You simply cannot set cookies from PHP. It will not happen. It will happen on your staging server, it will happen on your local server, but WPEngine's caching simply does not allow this. This should be a big red note in WPEngine's support garage. You don't simply disable all cookies and not tell anyone. WP-Cron is broken by default. Posts miss their schedule all the time. I registered a support ticket with WPEngine - they say that they have some internal defaults set that often break wp-cron, and that they would set mine back to fix it. My posts still occasionally miss their schedule. More importantly, why is wp-cron broken by default? Isn't that something important to tell your customers? Weird validation - WPEngine overrides core validation routines to do totally inexplicable things like ban capital letters in usernames. What the hell?! Since WP doesn't ban this by default, you get totally unhelpful validation messages like "Your username must only have alphanumeric characters." Adding a simple filter to sanitize_user fixed this, but why do I have to do that? Staging is a mess. I use Wordless, a great plugin that allows you to use HAML, comes with great helpers, and breaks functions.php into a folder of scripts. This completely doesn't work on staging, and WPEngine has no solution. On top of that, staging does not use the same caching as production, which means that even if my theme did work - I wouldn't catch many of the above bugs. Import limits are agonizingly low. I wanted to import a bunch of posts of a certain category to another site on my WPMU network. Rather than pull the raw SQL, it would be nice to use the WP importer/exporter so I can pull media data, create taxonomies, and so on. After all, that's what it's built for. But WPEngine has a 256MB memory limit (!!!!!) which means that my imports have a paltry 1.6MB limit. What can I do with this? I ended up having to find a Python script to split my imports into manageable chunks. On other hosting I would simply raise the memory limit. This was a real pain. Just as I was writing this post, I lost all of my restore points. Wow. I'm sure I will find more. A lot of this would be alleviated by having a simple guide to WPEngine's quirks - like a "What to watch out for in production" article. But no such thing exists. And until the staging environment is a proper staging environment, with the same exact caching, I will continue to find bugs in production & only in production. Suffice it to say, WPEngine is anything but "Hassle-Free Wordpress Hosting." Edit: Since this post, I've come across yet another: WPEngine's aggressive site caching actually caches the blogname of my main site onto several of my child sites every morning. That's right, the title of my child sites actually CHANGES every morning and I have to empty the cache daily to set it back. No database writes are done, nothing is wrong in MySQL. This is WPEngine caching my blogname - and getting it wrong. I can't find a GIF to explain how I feel.